Not to be put off by the forecast’s predictions of heavy downpours and thunderstorms, on Saturday 7 June a group of 19 ITI members and friends and one very well-trained dog descended on Jervaulx near Middleham in North Yorkshire. Travelling from various corners of the county and beyond, through racehorse and Le Tour 2014 country, we arrived just as the first few drops began to fall. Undeterred, members and friends proceeded to clamber out of cars, produce an array of waterproof clothing, hats and umbrellas and stand happily(?!) chatting in the rain, amidst hopeful cries of ‘maybe it’s just a shower’ and pessimistic but gleeful replies of ‘they say it’s going to get worse’. Once everybody had arrived, it was decided to set off on the original route and to see how we (and the weather) got on. Miraculously, the rain was not completely unrelenting and there were plenty of dry and even sunny breaks, giving us a chance to dry out a bit before the next downpour. After the first part of the walk, spirits were still high and we decided to complete the whole route. Teresa Quinn led us along quiet country roads, by the river Ure and over wonderful expanses of parkland. 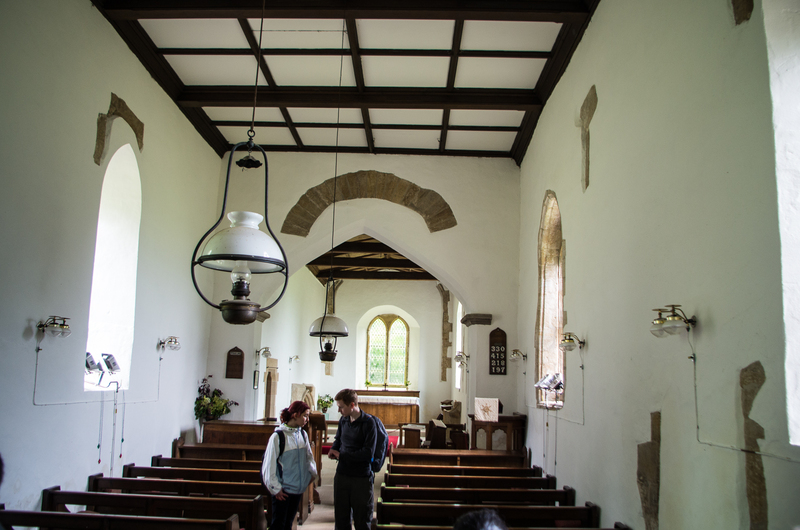 We learnt about the Catholic family of Norman origin who owned the Danby Hall estate, before a brief visit to peaceful St Oswald’s church, where we heard about the chance excavation of some skeletons by builders working at the site (later reburied). After an inside lunch stop at Thornton Steward village hall (no soggy sandwiches here), we headed out again, negotiating (for the most part successfully) a particularly muddy section, to arrive at yet more beautiful open parkland that led us back to the abbey car park. After sampling the cakes in the teashop (highly recommended), the more energetic ones had a quick look round the abbey itself, before we all went our separate ways. This was a great chance to enjoy each other’s company in a very relaxed setting, have a lovely walk, and see somewhere different. Many thanks to Teresa for all her hard work organising it – I’m looking forward to the next one! 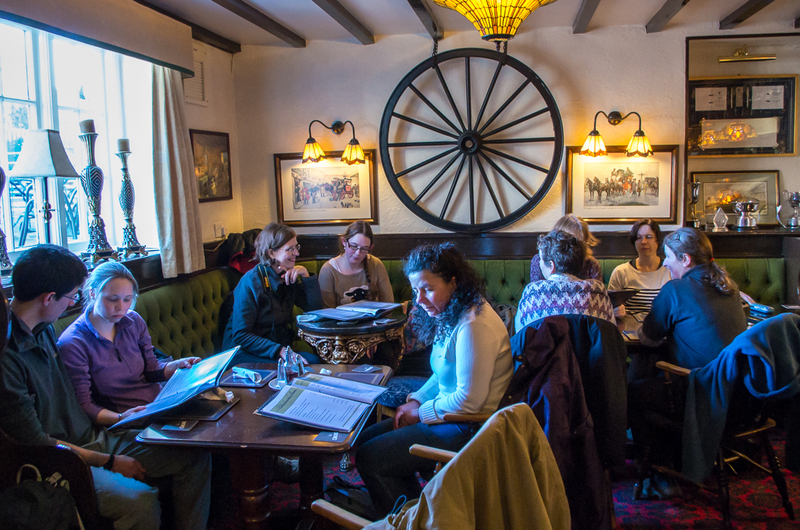 On 25 January, linguists from across the north of England congregated at the Swarthmore Education Centre in Leeds to learn more about social media and blogging for professional purposes. 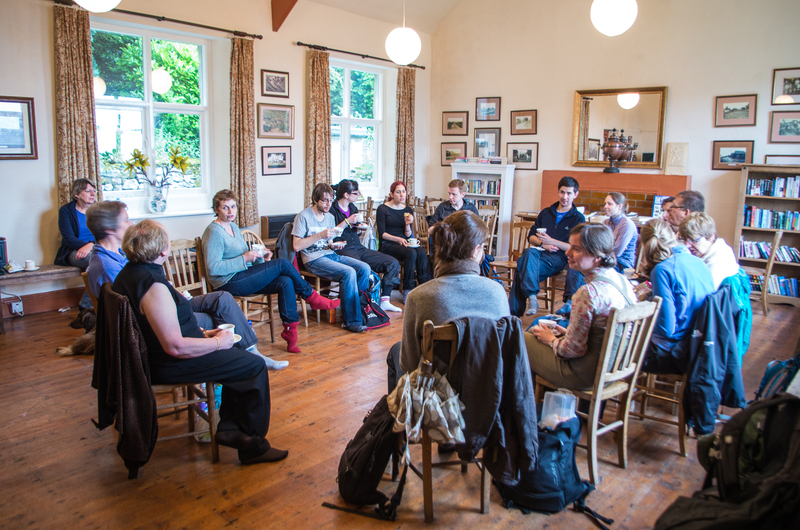 The workshop, hosted and organised by YTI, was led by social media guru Marta Stelmaszak. The highly interactive session started at 1.30pm and ran until 5pm. I was one of the thirty-odd attendees, and despite our varying levels of experience with using social media in a professional capacity, all of us were keen to find out more. Marta concentrated on the four major platforms: Facebook, Twitter, LinkedIn and Google+. After a brief discussion of our current social media usage, Marta invited us to divide into four groups, each dedicated to a particular platform. I joined the Google+ group, where we discussed setting up Google Authorship and using Google+ to benefit SEO (search engine optimisation). After about twenty minutes, the groups reported back to each other. Our discussion demonstrated the importance of one of Marta’s key tips: that it’s important to carry out a social media audit. Which platforms are you using? Are they up to date? When did you last review your privacy settings? Who is your target audience for each platform? As talk turned to blogging, Marta again stressed the importance of the target audience. It is worth remembering that translation-related blog posts will be read by your colleagues, not your clients. If your reason for blogging is to reach out to potential clients, it might be a better idea to write about news from your specialist industry. (For me, this was a real ‘aha!’ moment.) Marta, for example, has now set up a blog on doing business in Poland, which she is running in addition to her translation blog. On Thursday 15th May we had a new YTI Social event that I thoroughly enjoyed, and I would love to share my experience with you all. The event took place in Harrogate, in the 6th Form Forum at the Harrogate Grammar School. Getting there couldn’t have been easier for me, as I live in Leeds and bus number 36 is just outside my door. Once in Harrogate, the Grammar School is just a short walk away from the bus stop (and it was a lovely walk indeed!). The cheese and wine were in fact not the main event of the evening, but just a complement to a beautiful French film, Il y a longtemps que je t’aime (I’ve loved you so long). I assumed the film would be shown on the same room we were sampling the cheeses and wine in, as there was a decent-sized screen on one of the walls. However I was surprised when we were taken to a full-size cinema, just along the corridor. Harrogate Grammar School obviously has excellent facilities! Our host for the evening gave us a short introduction about the film, all in French. Although I can’t speak any French, he made sure he spoke slowly and my Spanish and Italian helped me to get the general gist. I thought this French discussion gave the evening an even more authentic tone, and it is definitely a fantastic way of practising the language for those interested in it (apparently they regularly show French films at this venue!). I thought the film was excellent. It was shot beautifully and the characters were very well portrayed by a fantastic cast. The film doesn’t tell the happiest of stories, but it was one of those films that stay in your mind for a long time. I don’t want to be a spoiler, so I won’t tell you much about the plot, but it starts with a woman called Juliette being released from prison and reuniting with her sister, and tells us how both of them try to restore the bond they had as children, while Juliette tries to find her place in a judgemental society. The film did a good job in exploring the psychology of the main characters, in a very realistic and intense way. After the film finished we had another quick talk by the host (in French again), and he analysed some of the aspects seen in the film, before putting an end to the evening. This was my first YTI event in Harrogate (I had mainly attended events in Leeds and York so far), and it was definitely worth the trip. It was a perfect combination of languages and arts, with the added bonus of cheese and wine (plus the wine was just enough, so there were no issues with getting up early the next day!). I am already looking forward to the next events! March’s social involved good food and a trip to the theatre. We met at Mama’s and Leonies in Sheffield for a pre-theatre meal. The restaurant had a homely feel and a varied menu. According to the website, it’s on the site of what was Sheffield’s most notorious Doctor’s Surgery. Unfortunately, we were unable to ascertain who this doctor was or why the surgery was notorious. Portions were generous and calzone proved a popular option. I certainly enjoyed mine and the standard was raised further by the homemade desserts. After dinner we met those who were unable to attend the meal in the Crucible theatre foyer. The play was a Sheffield Theatres, English Touring Theatre and Rose Theatre Kingston Co-Production of Translations by Brian Friel. It was written in 1980 and set in 1833 in Baile Beag, County Donegal. The British Army have arrived to map the area and are in the process of translating Gaelic place names into the King’s English. There are few characters who can speak both English and Irish and the play revolves around this language barrier and the cultural differences that go with it. The actors speak English throughout but the play is cleverly constructed so that the audience always knows which language is being “spoken”. There’s a humorous example of blatant misinterpretation and a village girl, who does not speak English, falls in love with a soldier, who does not speak Irish. Thank you to Charlotte for organising the social and to John for recommending the restaurant! 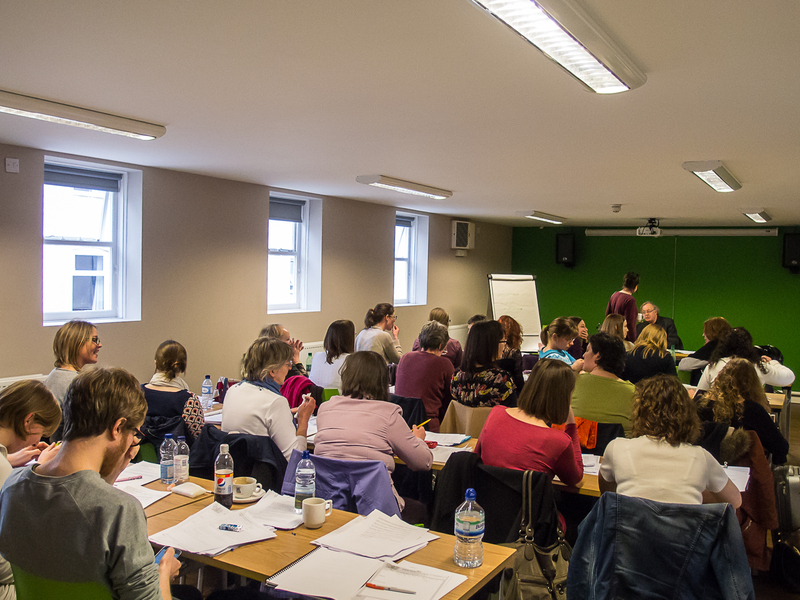 On 15th March about thirty translators gathered together at the Youth Hostel in York to attend a day’s course on English Law for Legal Translators, led by David Hutchins of Lexacom. The course involved four sessions and David provided us with a vast number of notes to guide us through these topics, exemplifying his explanations as he went along with amusing anecdotes from his time as a solicitor. The first session introduced common law and contract formation. The fact that common law, characterised by case law, is not used in most European countries, whose languages most of us translate from or into, presented the first set of problems when translating legal texts. David proceeded to discuss contracts: what they are, what they are not and what is needed to form them. His expertise in this area had the additional benefit of clarifying certain contract issues that members of the course had faced during their translation careers. The group then went on to look at specific types of legal contract, such as leases and tenancy agreements. Contracts, except in a few cases, do not have to be in writing, making us all rather more wary about what we would verbally commit to in the future! After lunch, where we had the chance to meet some new members of the YTI and catch up with old friends, the group progressed to learning about common contract clauses, working through and highlighting key phrases in a real contract. David pointed out frequently used collocations and places where a variety of terms was acceptable, such as the “whereas clause” now typically being written as the introduction. He also usefully informed which words could be omitted from a translation, such as “hereby”, and defined the exact meaning of the more obscure phrases used by solicitors. Our final session was about litigation terminology, where David led us helpfully through Lord Woolf’s amendments to civil procedure terminology, underlining some of the difficulties this has created for translators in terms of clarity. One notable example is the changing of “minor” to “child”. This is particularly confusing as a child could in fact be an adult, for example in the context of a testator’s will. By the end of the day we were able to answers questions such as: What do the words “subject to contract” mean and why do English solicitors sometimes put these words at the top of a letter? In what circumstances is a company “vicariously” liable? And what is the difference between “damages” and “damage”? Overall, although there were varying levels of legal experience among those attending the course, David Hutchins’ way of presenting contract law to us was approachable, engaging and extremely interesting. His extensive knowledge of law and the problems faced when translating legal texts enabled us to have some great discussions about the specific meanings of words and how best to translate them. A big thank you to all those involved in organising this event! 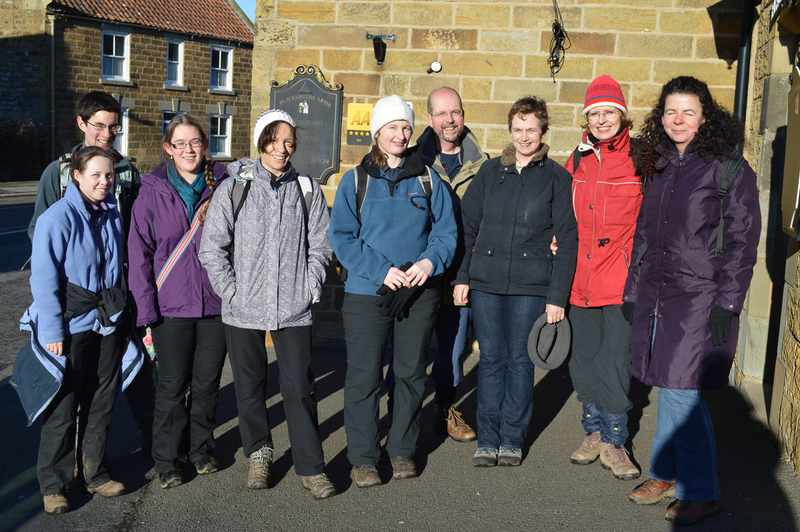 The YTI’s first winter walk took place on 11th January starting in Scarborough. About a dozen of us made our way along the Cinder Track towards Cloughton where we stopped for lunch at the Blacksmith’s Arms. 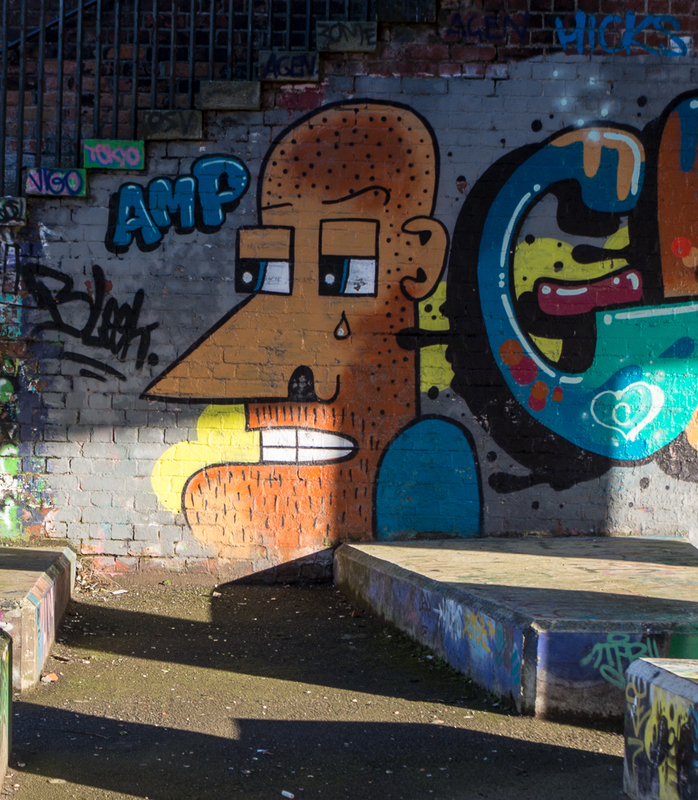 We decided as it was such a beautiful day (and we still had some daylight hours left!) to return via the Coastal Path. 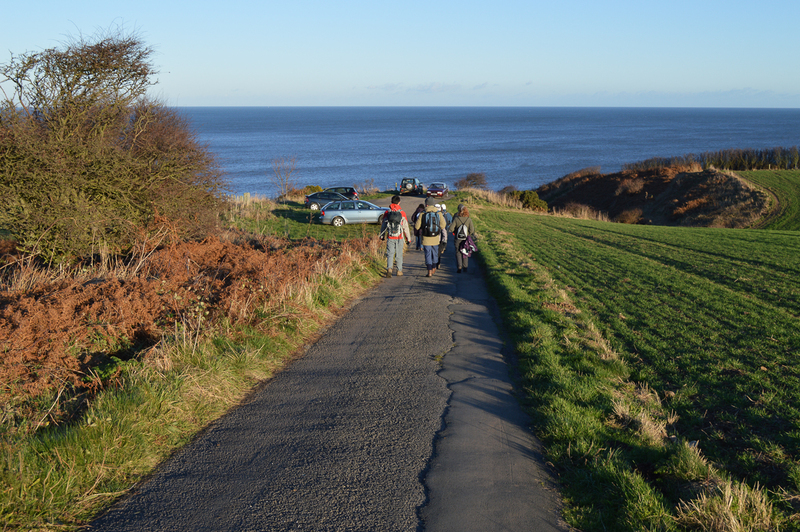 Although the way was rather muddy, the views were stunning, with Scarborough Castle in pride of place on the horizon. 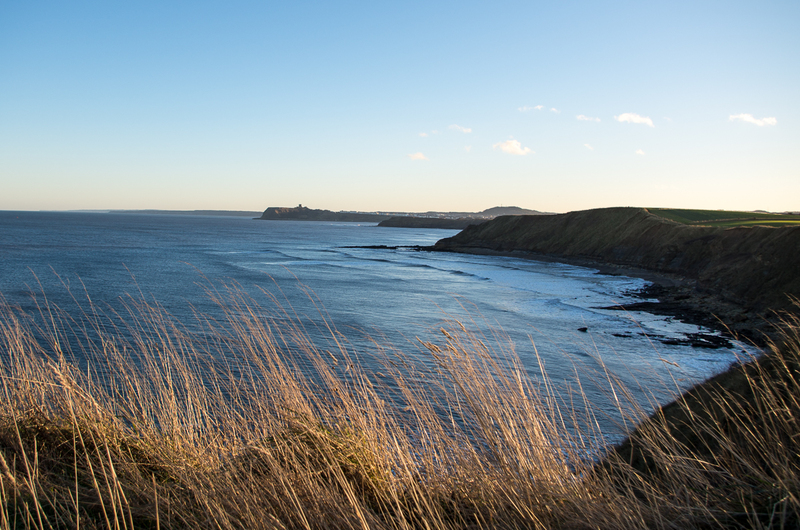 We arrived back in Scarborough just as the sun was setting, providing plenty of opportunities for the photographers among us to take some photos. The walk was excellently organised by Charlotte, and a great opportunity to get to know each other better and to meet new people. We look forward to more to come!